Navagraha homam is considered as one of the most auspicious homam for removing Navagraha Dosha and any person who is suffering from misfortunes or heavy loss or failure in business or life, can get positive outcomes in their life by conducting Navagraha homam. It is performed for removing all obstacles in life and attains longevity along with health & happiness. Navagraha Homa is performed after conducting Navagraha Pooja and for this, nine varieties of flowers along with nine cereals (Nava Dhanya), nine types of Naivedyams, nine vastrams (fabric of different colours), are used for the proper arrangement of pooja. Each Graha of Nava Gtah is worshipped with a particular flower. For this Puja nine types of Chamatas (twigs) are also predominantly used as all these are the parts of rituals mentioned in Vedas. Navagrah homam has the ability to counter flaws present in the horoscope of any person and hence it enables a person to prosper in life. It solves all the astrological defects from someone’s natal chart and hence it removes the main blocks to well-being of an individual. It is done for appeasing the nine planets i.e. the Sun, Mars, Moon, Mercury, Venus, Jupiter, Saturn, Ketu and Rahu. For such powers, this puja is considered as an effective remedy for Navagraha Dosha. Basically bad times are attributed to the positioning of different Grahas (Planets) and their position in an individual’s natal chart but grahas can be appeased by accurately performing the Navagraha homam, which removes all the Doshas and hence diminish all the malefic effects. 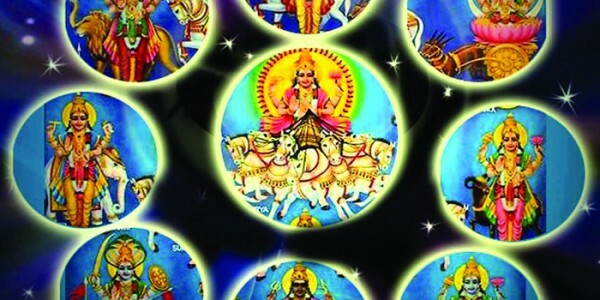 With proper completion of this Homan blessings of the Navagraham can be effectively obtained even if they were earlier placed in disadvantageous positions in someone’s horoscope. Navgraha Homan is extremely useful & beneficial as its performance strengthens benefic planets & increases their positive influence, and we, at Puja Yagya ensure absolute accuracy and transparency in conduction of Puja by following all the rituals mentioned in Hindu Vedic Scriptures.